Topmost of fast chargers, compatible with all brands of electric vehicles. The QC45 quick charging station provides a rapid battery charge and supports two EVs simultaneous AC and DC charging with multiple power output options. The QC45 is a flexible and open charging station able to charge in a standalone mode or integrated in any network with any central system. The QC45 has DC output with power up to 50 kW and optional AC output with power up to 43 kVA. The battery charging status is displayed in a TFT color screen. The QC45 has high quality and robust enclosure with corrosion protection, equivalent to stainless steel, to ensure extended equipment lifetime. It’s also possible to personalize it with custom graphics, logos and colors to have the overall look of your brand. 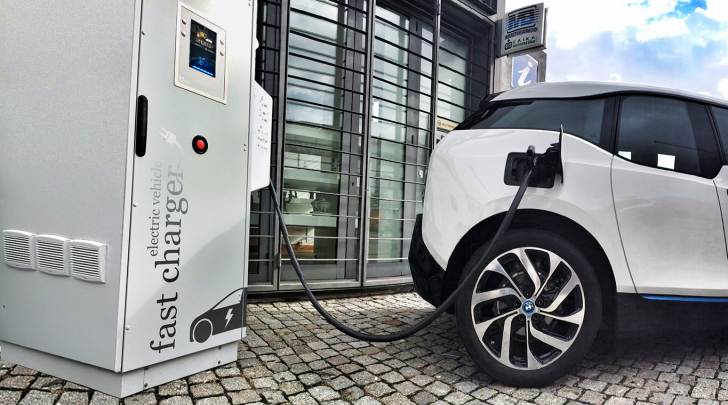 The QC45 is designed to give your EV the maximum of charge with minimum time spent.